Monarch Home Entertainment is set to release the post-apocalyptic thriller THE QUIET HOUR in America on to DVD 21st March 2017. U.K. audiences can check out the film on DVD and VOD now on Amazon. From French director Stéphanie Joalland, THE QUIET HOUR takes place after an alien invasion. Bandits roam the land and Sarah (Richards) must defend her remote farm, from hostile forces. This thriller stars: Dakota Blue Richards (The Golden Compass), Karl Davies (“Game of Thrones”), Jack McMullen and Brigitte Millar. 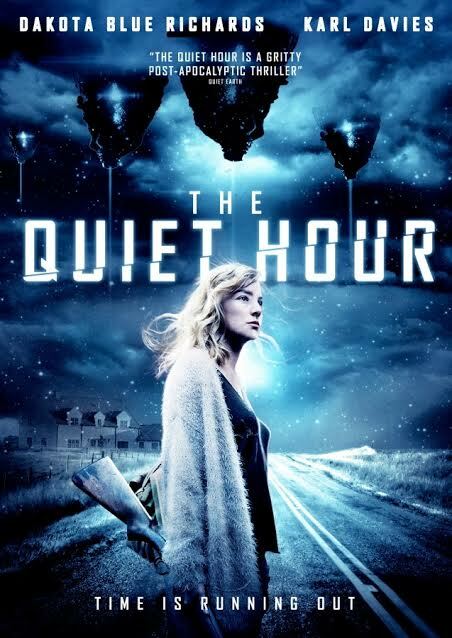 A remarkable film and winner of Best Narrative Feature at the Kansas City Filmfest, THE QUIET HOUR will stun science fiction and thriller fans, in just a few days. Humans are few and far between since Earth was invaded by extra-terrestrial machines that harvest the planet's resources and relentlessly kill its inhabitants. In a remote part of the countryside, a feisty 19 year old girl, sets out on a desperate attempt to repel a group of bandits and defend her farm.